Nestled in the Village of Orleans, Vermont, D&C Transportation is conveniently located adjacent to Interstate 91, between the cities of Newport and St. Johnsbury, Vermont. 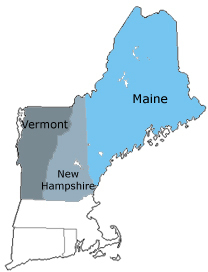 Although our home base is in Vermont's Northeast Kingdom, we travel far and wide across New England to bring our customers competitively priced products delivered with superior service. 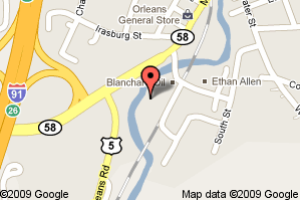 We transport various brands of petroleum fuel products to Vermont, New Hampshire, Massachusetts, Maine, and New York. If you have any questions about whether we are able to meet your fuel delivery or other transport needs, call us at 800-286-6686. Explore our website to learn more about us and the values we were founded upon and still uphold today.